At six, Nancy knew she could be funny. She opened her mouth to sing O Sole Mio at the Chicago Italian Days Festival and got huge laughs…she was hooked. This quest for funny eventually led her to several years on stage with Chicago’s famed improv comedy group, The Second City. Since those early Chicago improv days, she’s had the good fortune to create a variety of distinctive characters from the acerbic Harvard University secretary in David Fincher’s Academy Award-nominated The Social Network, to the wry, wise old oak tree in Katherine Applegate’s Wishtree. She’s currently having a Marvel-ous time as the iconic Aunt May in both Insomniac’s newest hit, Spider-Man on PS4, and in the animated series on Disney XD, Marvel’s Spider-Man. An award-winning narrator, Nancy has voiced multiple characters in a wide variety of major audiobooks. She brings her own pleasure of getting lost in a good story to each narration. It satisfies her childhood dream of playing all the parts. And, she doesn’t have to share a dressing room. Nancy loves a good story, and since all acting is storytelling, she picked the right career. The craft in acting is to bring the author’s vision to life. 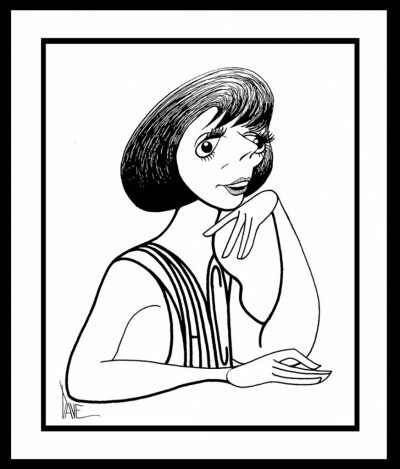 Nancy strives to bring her own unique wit and sophistication to every character she inhabits, whether in theater, television, animation, commercials, or audiobook narration. If you ask Nancy about her personal career highs, you’re likely to hear, “Ladies and Gentlemen, Prince Harry!” As the live announcer for the 2016 Invictus Games Orlando ceremonies, it was a privilege to be part of this international, multi-sport event, created by Prince Harry to honor wounded military servicemen and women and their families. And most significantly, as a native Chicagoan, Nancy would like to remind everyone: The Cubs won the World Series in 2016 – Go, Cubs, Go!